While in Africa, I noticed something remarkable. The army ants are quite large, travel in a straight line, and will not be stopped by anything. But it goes beyond determination. They communicate extremely well with each other using a combination of pheromones, touch and sound, and can easily solve complex situations. As we walked a path in the low grass, we noticed the trail of army ants from a distance. We approached with caution to get a better look, and made the mistake of crossing an invisible barrier. As they trod in single file, every third ant broke rank and headed directly toward us. In a well-organized manner, they fearlessly attacked because we were perceived as a threat. It didn’t matter that we were thousands of times larger—they were on a mission. I was impressed that day by their determination, but also their organization. 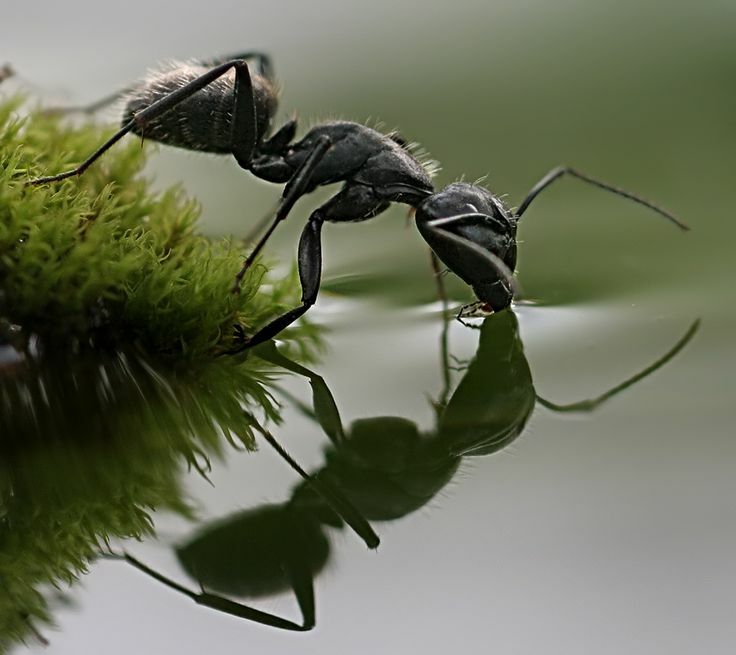 A single ant was no real threat, although their bite is painful and dangerous. But together, they were a force with which to be reckoned. They were capable of great deeds. They had the ability and numbers to kill us if we put up a fight. But in the ant colony, each ant is marked by a pheromone that identifies it as a worker, a gatherer, a defender, and so forth. Each has a task, and none argue about their jobs or stations in life—they just do it. As a result, they are resilient and extremely effective. In fact, they will form a bridge on the water as many drown so that others may cross, but no matter what position they hold in the colony, they all take turns a guard duty when it comes time to take a drink. I’m envious. I don’t understand why I am so guilty of being a poor ant. If I had half the diligence they possess, God would never have to pull me back in line. These ants live in colonies with numbers in the millions per colony. Interestingly they form a superorganism—they gather together to form one larger body that can accomplish a task. That’s the key—to understand that we are all important. This includes those who pray at home, those who go into the field, and everyone else. Being faithful to the call is the challenge. I have a greater resolve to do better. I hope I can be true to my calling, even when it doesn’t suit me.